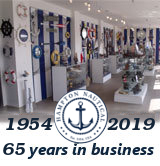 Pirate Decorative Ship Wheel With Starfish 12"
The Hampton Nautical Deluxe Class Dark Red Wood and Chrome Ship Steering Wheel 48" is the perfect nautical wall hanging for your home. Our Deluxe Class solid wood ship wheels have been a fan favorite for some time now and are available in vibrant colors. 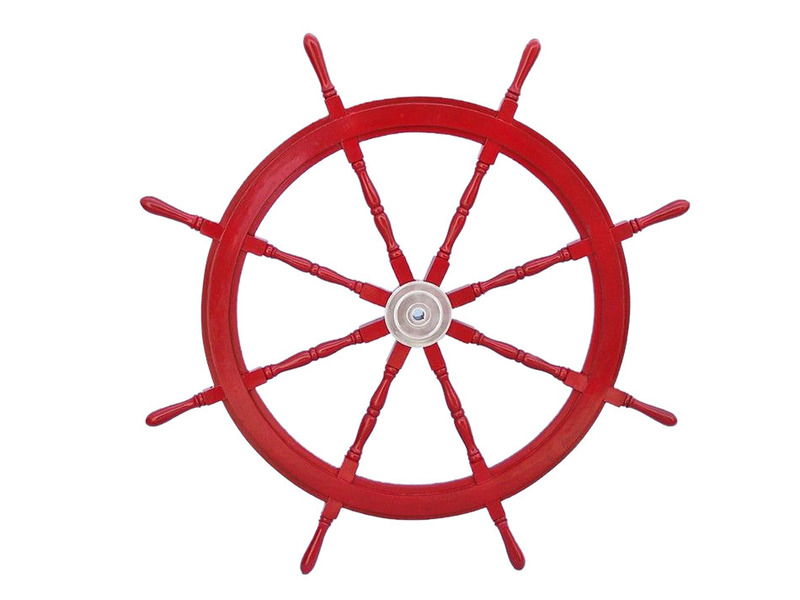 In addition, they are hand-sanded with additional coats of lacquer which give this decorative ship wheel a slight gloss which makes this a perfect nautical decor accent for your home, boat or office. Made from rare, high quality Shisham wood which is hard, strong and is highly regarded for its ability to resist the elements. The decorative wooden ship wheel has eight spokes, each skillfully turned and assembled with plugged screw heads. The chrome center hubs have uniform sizes holes and machined keyways.